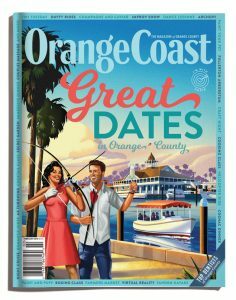 Great Dates in Orange County | Whether it’s your first date or your 50th, these spots are romance-approved. Paul Williams and His Rainbow Connections | The hall of fame songwriter finds serenity and relaxation in his life in Orange County. Top Dentists of O.C. 2019 | These 283 dental professionals were chosen by their peers as some of the best in our area. Plus, read expert advice and tips for optimal oral health. Perfect Getaway | Live like locals in the neighborhoods that give San Francisco its charm. Culturephile | Recent Orange County transplant Selena Gomez enjoys life away from “claustrophobic” L.A.
Sourced | Blue Springs Home offers vintage and worldly bedding. Food Collector | Treat your valentine with these local gifts. Food News | Doughnuts, tacos, and coffee get craft treatment at new spots. My O.C. | The stars aligned more than once for this fan and her teenage crush, Donny Osmond.